Weloop Tommy is a new smartwatch that has left us very surprised and in Hexamob we think that is going to make much noise in the market these days, both for its technical characteristics and its incredible price. It is presale on the online shop Gearbest now for only $65.98. 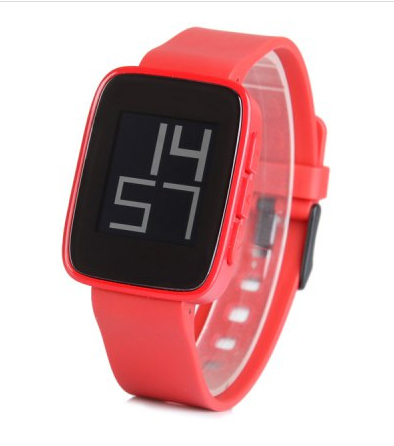 Weloop Tommy is considered a “clone” of the already well known Pebble smartwatch. It is a smartwatch equipped with a 1.26-inch LCD screen manufactured by Sharp, providing a range of up to three weeks duration (21 days) with a single 110 mAh battery, all backed up with a water resistant body that can be immersed in up to 50 meters deep. Putting face to face with the Pebble smartwatch, Weloop Tommy is much nicer having a more rounded appearance that will make it more comfortable to hold. It has 3 buttons on the right side and one button on the left side, at the bottom of the clock so that this will make it easier to use considering the position of the fingers (thumb and forefinger) to handle it. The Weloop Tommy can sync with any iOS or Android device thanks to its Bluetooth 4.0 connectivity allowing read our device notifications, use the watch as a remote camera, it integrates a pedometer, has a function to ring our device if we can’t find it, to adjust the audio level of the music of the device, includes an application to know how much distance we have traveled (calories, speed, etc) and a rugged metal chassis resistant to shock and extreme temperatures (-10 to 50). As we said, synchronization and communication with the phone, both the iOS App Store and Google Play can be used, two applications that synchronize with iPhones and Androids respectively. 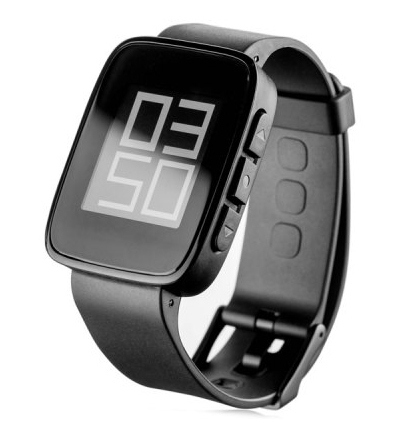 One is for smartwatch management, ie, change watchfaces, notifications, see the battery status, etc. and the other is a health application that communicates directly with the pedometer that has the clock and going to keep a tally of calories, steps taken and distance traveled daily by us. In short, as the best of Weloop Tommy is its price, being able at a price of $65.98 in red or black color, it is a perfect choice for those looking for such wearable. The key is to find a perfect balance between performance, display, battery capacity, and functionality, and in this sense, Weloop Tommy is a winner: the price is ideal for those who want a simple device that show notifications from our mobile phone and tell us the calories we spend in our daily activity. For the little internal storage space that has perhaps we can not take too many installed applications and watchfaces but usually that’s one thing that does not really matter, since having the phone whenever you can install them whenever you want (and available by the developer). And the best of the best once again is the battery. A real joy to wear this watch more than two weeks without having to worry about charging it. This last reason is more than enough to go buy it already. You can find the Weloop Tommy in presell in Gearbest for only $65.98, in here, and you can choose to buy it in black or in red colour.